2018 was my absolute favourite year of the business filled with lots of new challenges, opportunities, milestones reached and lessons learned. It sounds cliche but I’m incredibly blessed to live out my passion! It’s hard work but it makes me happy and I’ll soak it up for as long as I have it 💙💙💙💙💙 5 years, 6 months and counting! 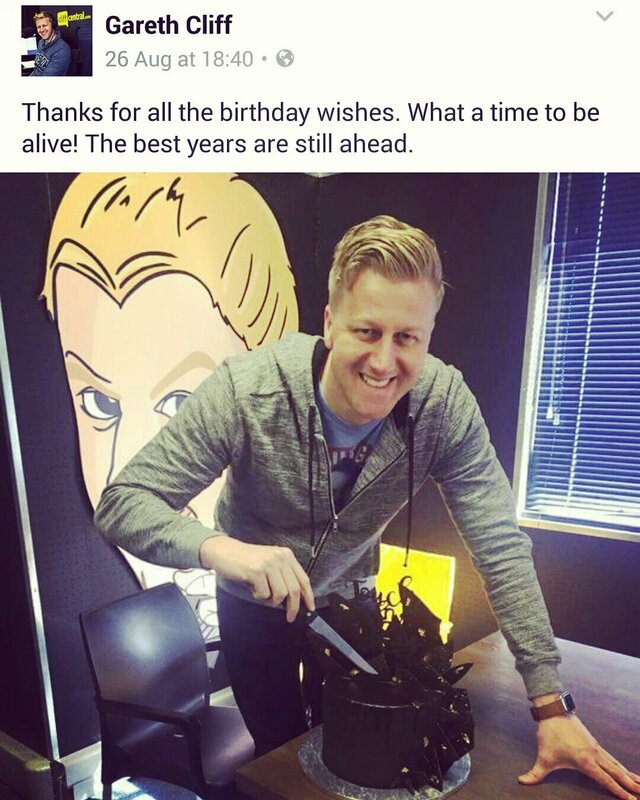 Gareth Cliff doesn’t like to be fussed over, especially when it’s his birthday, but what is a birthday without Cake?! This very trendy, ultra modern, sharp edged industrial Cement and Isomalt sail Cake was comprised of dark Chocolate Mud Cake, dark Chocolate Ganache and fresh Raspberries. 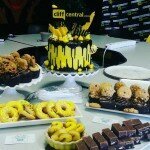 They celebrated Gareth’s birthday alongside CliffCentral‘s Station Manager, Greg who turned 30 today! If I want to be one of the best, offer the best to my Clients and Students then I need to ensure that going forward I learn from the best! I’m honoured to have been included in the Hello Joburg Magazine ‘Lady Foodies’ feature. “Be a Pineapple🍍stand tall, wear a Crown and be sweet on the inside” – the essence of Women. Last week, a team of 3 of us and 2 assistants, assisted Dot from Eat Cake Party (the mastermind behind this project) to create this magical 750kg, 3 metre tall Mandela Cake at Sandton City Shopping Centre. No one can quite imagine the vision she had until we saw the end result and as you can see, it was sensational!! It was my initial goal to reach 5 years and it is with much contentment that I can admit that I no longer feel I need to prove anything to myself,nor to anyone else. I made it and I’m darn proud! It was too fun making Mabale’s Cake again this year as I got to play with very trendy, textured buttercream. 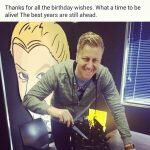 Mabz has been with Gareth Cliff on the Gareth Cliff Show for ten whole years! Sadly, she’ll be leaving the CliffCentral team this week as she continues her career in TV production. Here’s wishing her a fabulous birthday and continued success in her new adventure! Click here to listen in on the podcast as I present the Cake to her. My favourite party theme, ever! Y’all know how much I love Cookies and Cake but imagine my excitement when my Client wanted Cookies on a Cake AND the theme was Woodlands The animals were inspired by the party decor! The party treats included a Cake, Cookies, Hedgehog Meringues and Chocolate Covered Oreos. As a fellow entrepreneur, Gareth Cliff has always been a great inspiration! Unknowingly, he inspires me to push boundaries, evolve, innovate, brace my fears and make things happen. It’s been such a pleasure to see Cliff Central grow in the past 4 years and for me to be a part of each celebration in an extra sweet way! Congratulations to Gareth, Rina and the team! SUBSCRIBE HERE to be the first to know about upcoming Classes. You can opt out at any time. A highlight of my career was making Gareth Cliff’s 40th Bobblehead Cake, but this Gary Player inspired cake is without a doubt another one of my favourites for CliffCentral! Thank you to UP UP AND AWAY and Retha Joubert for your contribution to Ben Karpinski’s birthday at TheBounce! PINKtober brings you #BreastCancerAwareness month! I’ve had the honour of making Gareth’s birthday cakes for the past 4 years. This year for his 40th, I challenged myself with a Bobblehead Cake… and yes, it bobbled! See Facebook or Instagram for the video clip. 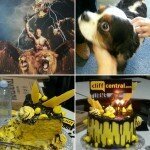 Each year I get to create something for each person on The Gareth Cliff Show and this month, it was Mabale’s birthday. I felt creative and whipped out my paint brush to create this latest cake fad – The Brush Stroke Cake! It’s always a treat to catch up with the team. Listen to the podcast HERE! You can also watch the brief video of the arrival of the cake HERE! I am so honoured to be a part of the Cliff Central family and to share in yet another one of their birthdays ! For this birthday, I got to make an out of the ordinary, modern twist on the currently trending semi-naked, water colour drip cakes with a touch of gold leaf. I included “The best is yet to come” on the cake board as that was the last sentence in Gareth Cliff‘s latest book and it sets the tone for everything going forward for CliffCentral. Congratulations to Gareth, Rina and the team! Thank you to UP UP AND AWAY for the absolutely gorgeous balloon! Click on the CLASSES tab above to see my upcoming Classes. Online bookings only! Be the first to know about new classes, by clicking on SUBSCRIBE on my Facebook page. 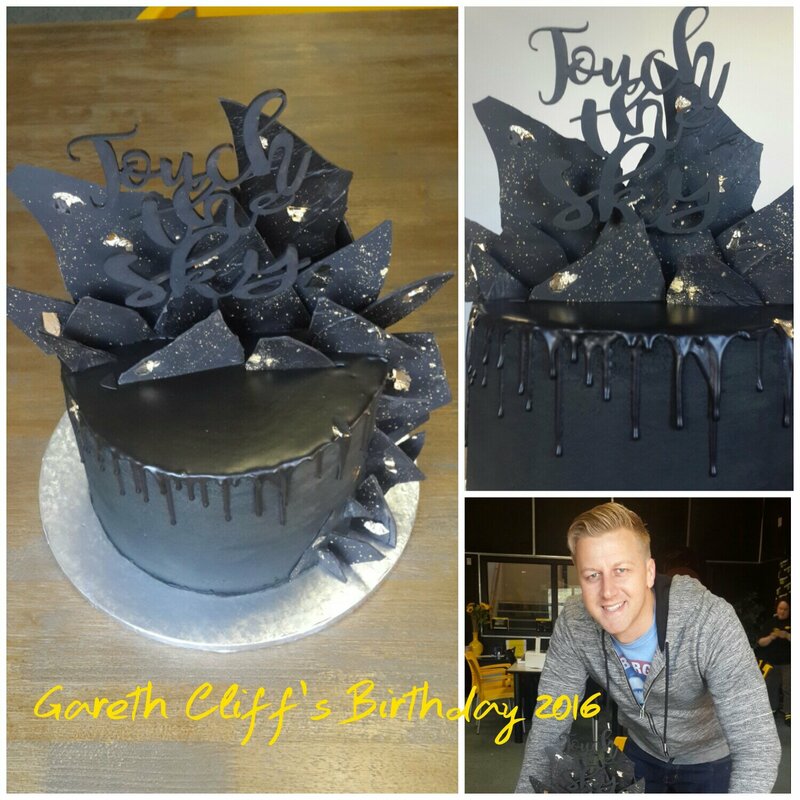 We celebrate Gareth Cliff’s birthday for the 3rd year in a row! They said Cliff Central wouldn’t last 6 months and yet here they are 2 years later! Congrats to Gareth, Rina and the rest of the team. I was extra proud when Gareth Cliff thanked me in his speech (available on www.facebook.com/sensationalsuga). It has been such an honour to be part of the team since the start! My Favourite Cakes from 2015! Happy birthday to the awesome Gareth Cliff! I am so glad to play a sweet role in his birthday once again. For his not so sweet tooth, I always make him my favourite Carrot Cake. Gareth loves Minions so we added a little fun to the cake! We love Cliff Central and the team! Queen of Tarts Tina Bester, Expresso’s Zola Nene and the MC for the day, private chef Neill Anthony, joined readers for a magical morning of sweet indulgence and expert baking tips, brought to you by Good Housekeeping, Snowflake, Lancewood, Bakers, Zespri SunGold Kiwifruit, Clicks Love to Bake, Huletts, Miele and Glad. The event took place at the beautiful KleinKaap Boutique Hotel in Centurion. Guests got to taste the 20 Bake Stars creations featured in the July issue of the magazine which Sensational Suga were privileged to bake for the Harvest Table.Guests got the opportunity to take part in a raffle and won great prizes. Raffle proceeds went to the Institute of the Blind, a nonprofit organisation that provides accommodation and care for the visually impaired. All Guests received an amazing Good Housekeeping goody bag full of surprises! 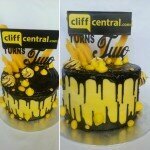 We were elated to be part of Cliff Central’s 1st Birthday Celebrations with our Sweet Treats! Hot FM 91.9 launched live on radio playing Joburg’s Best Old School and R&B. We were asked to do some special cupcakes and got to meet all the radio legends. We also celebrated Mark Scott’s birthday with Cupcakes 4 Kids with Cancer! I was honoured and excited to make Matty’s 1st birthday cake. A collaboration of Baby Jake and Barney. The couple graciously opened their home to me and Daniela Moser Photography as we did a Cake Smash photo shoot too. We collaborated with Gareth Cliff to make Damon a jar full of choc chip cookies, white chocolate & cranberry cookies and a cookie monster cupcake! I chatted on air with Gareth, Damon and the team. Happy Birthday to the Master Cookie Monster, Damon! We popped into the Cliff Central studio to spoil Gareth Cliff to a Carrot Cake topped with Pecan Nut Brittle. The cupcakes were for the team to enjoy. We chatted with him on air about Sensational Suga for a while. PJ Powers happened to be in studio to sing Happy Birthday to Gareth, so I got to meet her as too. The Hello Joburg Magazine held a Pamper Day for all the woman bloggers in Joburg at the Hyde Park Tsogo Sun. Sensational Suga presented each blogger with a personalised cupcake. On Friday, 30 May 2014 we were delighted to treat Gareth Cliff and his team, Mabale Moloi, Leigh-Ann Mol and Damon Kalvari to an “unscripted-uncensored- unradio-inspired” Chocolate Ganache cake (our favourite and most popular). With all the excitement going on, we unfortunately didn’t take close-up photos of the cake, but below is a sneak peak. 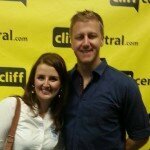 Gareth Cliff graciously allowed me to join the team in Studio and we briefly chatted about the cake etc. The interview was streamed online through We Chat and on DSTV’s channel, 122 Comedy Central. We love treating the team and will be back soon, so keep your eyes pealed! I was thrilled with the compliments received by the team too “the best I’ve ever seen”, “very talented” etc. We were honoured to be asked to make cupcakes for Thomas Mlambo’s Birthday yesterday! Two of the cupcakes were featured on SABC1′s Sport@10 hosted by Thomas. These 2 cupcakes were given to Zuraida Jardine for a quiz that she won. We hope Thomas had an extra special day and we’re chuffed to be able to treat him. We popped into the 5FM Studio to spoil the Morning Drive Team to personalised cupcakes inspired by the South Park theme.